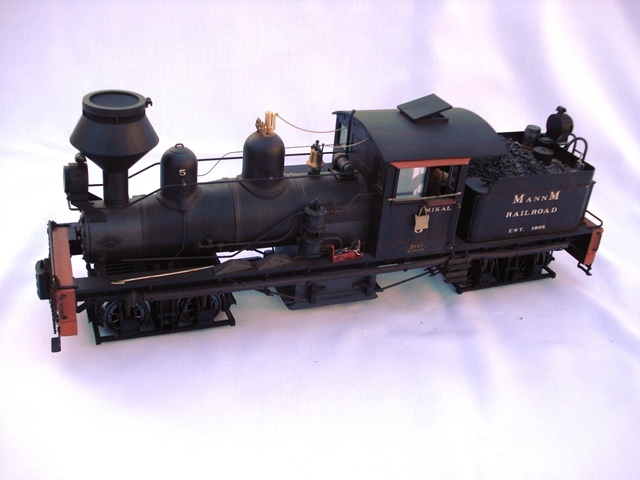 One of the first models that was detailed and painted for the MANNM Railroad was a Bachmann shay (#5). 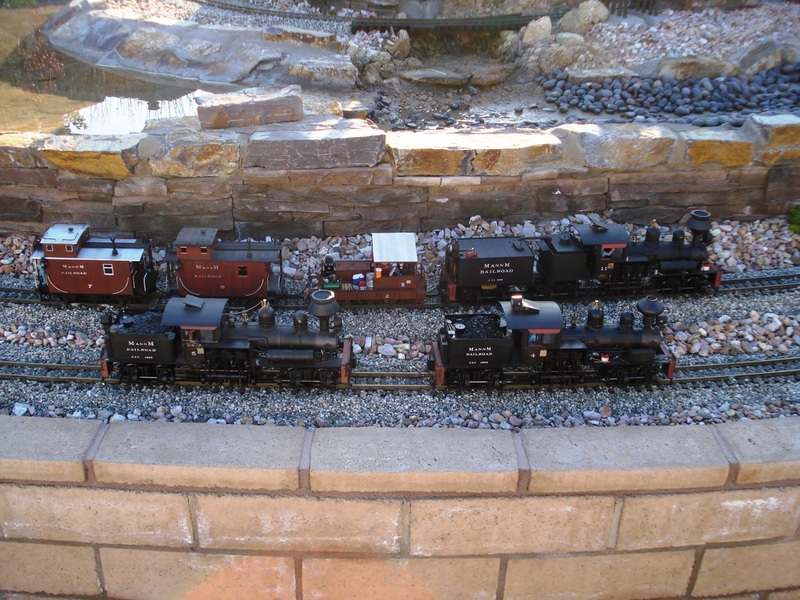 For years this engine sat on the mantle until the outdoor layout was finished enough to run the shay. After seeing it run outside, I knew that one would not be enough! 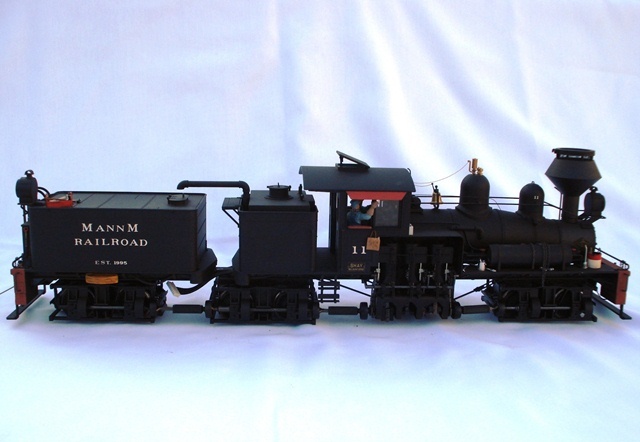 A Bachmannn undecorated three truck shay (#11) was acquired and converted into the MANNM Railroad’s livery. 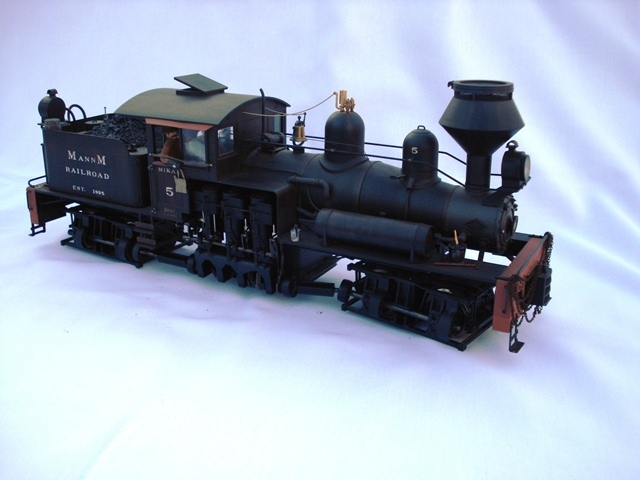 Next was the final locomotive, shay #4. 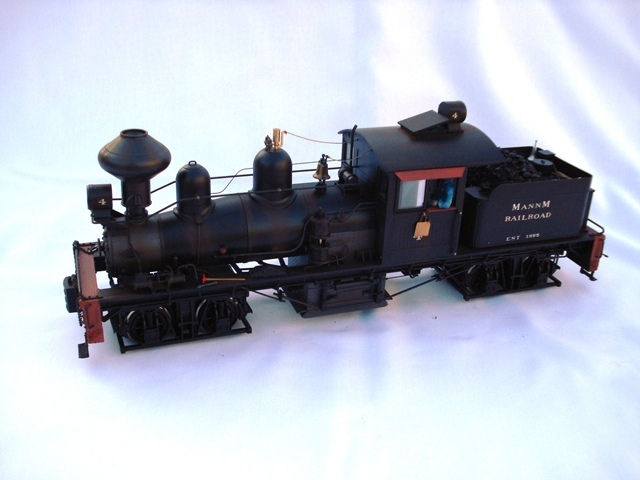 To see more pictures of the tool car and cabooses, follow the embedded link. 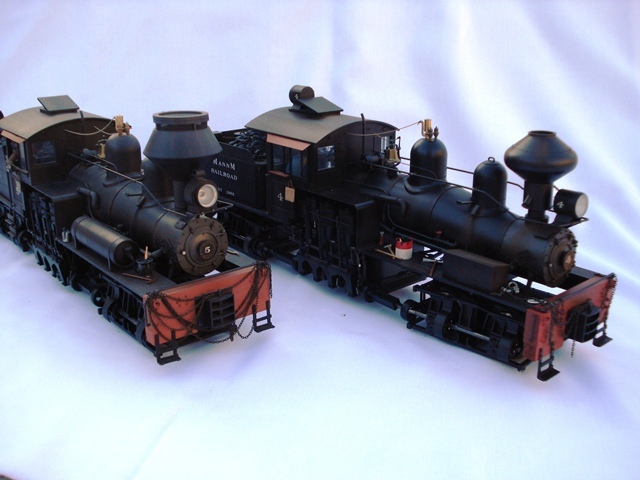 Shay #4 and #5 are almost the same but have some small differences in the details. Both shays have an extra timber added to the pilots. The pilots, sun shades, and cab arm rests were then painted a bleached red color. 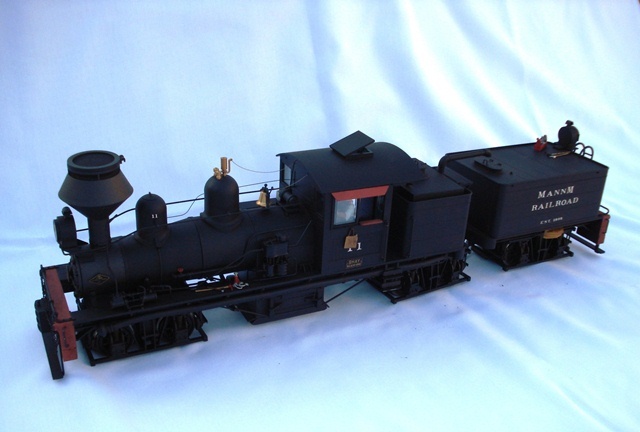 I replaced the plastic coal load with real coal and applied various other detail parts to both engines. Both have Phoenix sound systems and are lightly weathered. 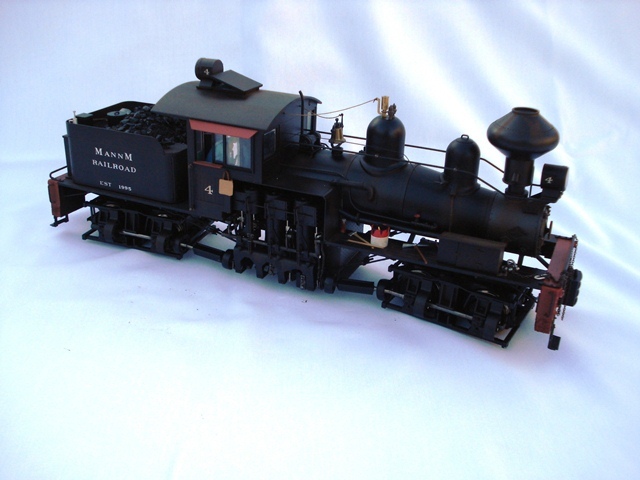 Shay #11 was an undecorated Bachmann three truck shay. 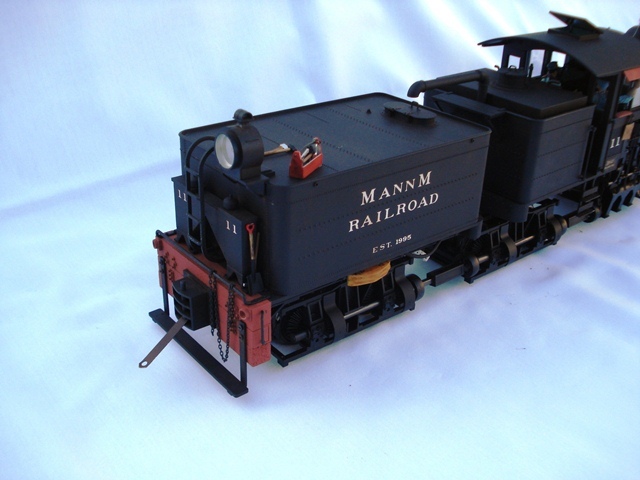 A Phoenix Pb9 sound system was installed and then the shay was lettered for the MannM Railroad. Again, the front and rear pilot have an extra timber to give it a bulkier appearance. The pilots, cab arm rests, and the sun screen were painted a bleached red. 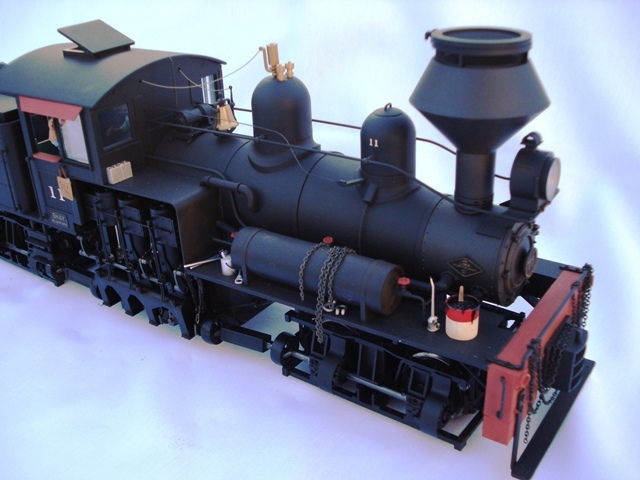 The rerailer, water bags, and many other details were applied to the shay. The engine was then lightly weathered.